With a new year, comes new goals and things that we are setting out to achieve. Last year I created My Beauty Resolutions for 2015 and it was one of my most popular posts, with so many comments from all my lovely readers about how you enjoyed hearing about the things I was working on and what goals I had set out for myself. 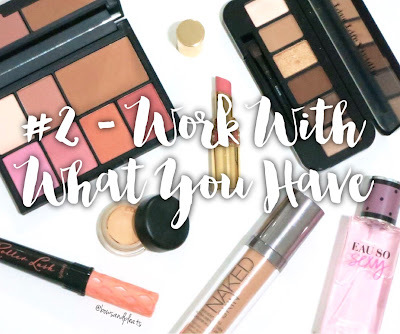 Overall, I think I have done a pretty good job at working on all of these things, especially rotating my collection and being more creative with my makeup. There are still a few things that I would like to continue to build on this year as well as some new beauty resolutions for the year ahead. Read on to find out what I've committed to working on for 2016! Although this is a similar goal from last year, I've already begun the process of downsizing my collection by giving away, selling and donating any products that I don't find myself using often. You would be surprised how many products you might own and never use, so why not put them to better use by selling them for some extra cash or giving them to a friend that would really appreciate them? 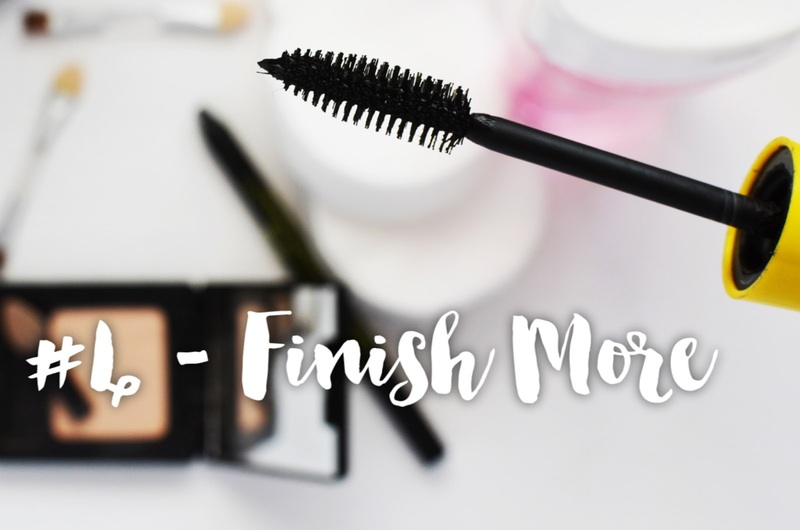 Products like mascaras, foundations and concealers have a shorter shelf life so it doesn't really make sense to hoard these items when you'll never realistically finish them all up anyway. 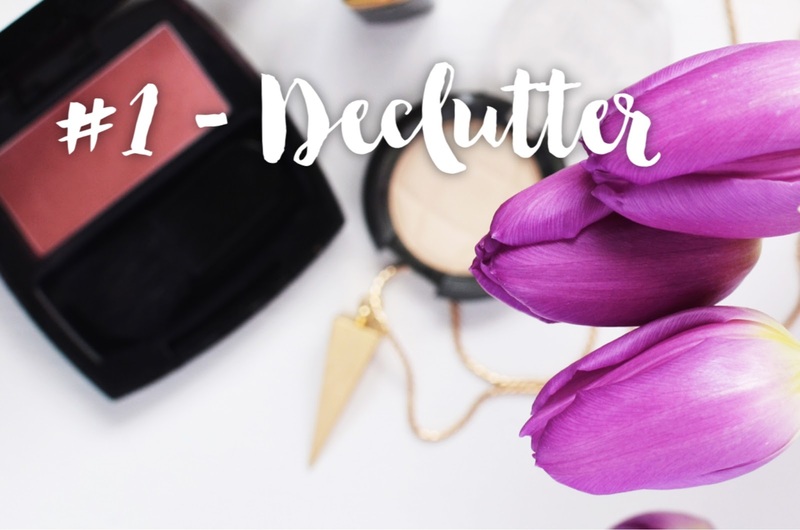 Be sure to check all your expiry dates and get rid of any products that smell or have changed consistencies as well as old nail polishes or perfumes. If you're like me and read a lot of other beauty blogs and watch various YouTube beauty channels, it feels like new limited edition releases just keep coming all the time. This year especially, it's safe to say many of us were overwhelmed in the amount of palettes that were released, limited edition collections and innovative beauty products sweeping the beauty community. 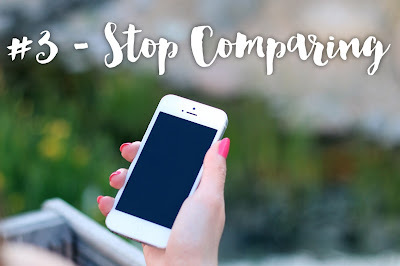 It's certainly easy to get caught up in the hype of a product, but it's important to remember to look through your existing collection before running out to buy new items. You might already own a similar eyeshadow or have a close dupe for that lipstick or blush. Of course, there's nothing wrong with building up your collection but it's also okay to be happy with what you've got already. Ask yourself, am I buying this because of the hype surrounding this product or is it something that I can use and that will compliment my existing collection? This is definitely what I'll be asking myself over the next year so I don't feel so tempted to constantly pick up new products when they are released. Try searching hashtags such as #shopmystash and they may just inspire you to rediscover products you love but had forgotten about. In keeping with this theme, as a beauty blogger it's easy to become fixated on those around us and sometimes get feelings of inadequacy that bring us down. You might be thinking "I wish my photos were as good as hers", "I wish I had a background like that" or "I wish I had these high-end products in my collection" or even "I wish I had as many followers as her/him". 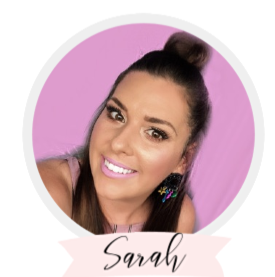 I'm human too, so I definitely can get in this negative mindset from time to time, but I always try to remind myself that I started this blog as a creative outlet for sharing my love for makeup and beauty with others. 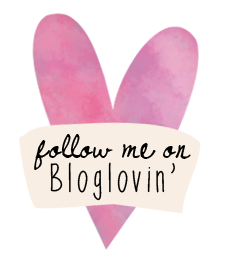 I didn't start my blog to gain a certain amount of followers, receive free PR samples, or to get invited to special events. I love my blog and am passionate about growing Bows & Pleats as a brand, and of course I hope for continued success in the future but on my own terms and at my own pace. It's easy to compare yourself to others and feel like you aren't getting anywhere but everyone is at a different point along their journeys. Sometimes, we only see what we want to see and we may not realise all the time and hard work it has taken for someone else to get where they are now. I am definitely the type of person that has a bad habit of getting bored with products and opening up new ones before finishing what I'm currently using. Do I need to have six cleansers opened up at the same time? Probably not. Do I need ten mascaras open when I'm only really using two of them? No. 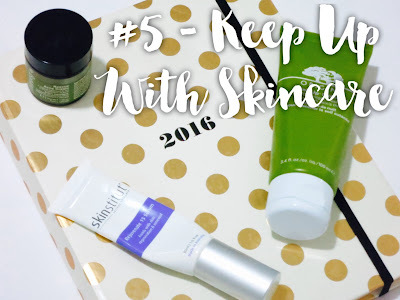 I am hoping to complete more Empties Posts throughout the year and work my way through a lot of my skincare and haircare products especially. In terms of makeup, I'd like to finish up some of my primers, foundations, concealers and mascaras. I'm even thinking of doing a Project Pan sometime this year to assist to limit my spending and use up more products. Finally, my last resolution is a similar one to last year but still very relevant for me. My skin has gone through it's fair share of hormonal breakouts and acne over the years but has been steadily improving since last year. Throughout 2015, I was able to find products that really worked for me, especially some great ones from Skinstitut (you can read about My 2015 Skincare Favourites here). My skin is looking the best it has in a long time so I have made a promise to myself to continue sticking to my routine. It might not seem like much but consistency has been a game changer for me with my skin and I'd like to continue with this throughout the year. I have also tried to have 1-2 makeup free days per week (usually on my days off) which I think has also let my skin have a little break from makeup and also kept it looking fresh. 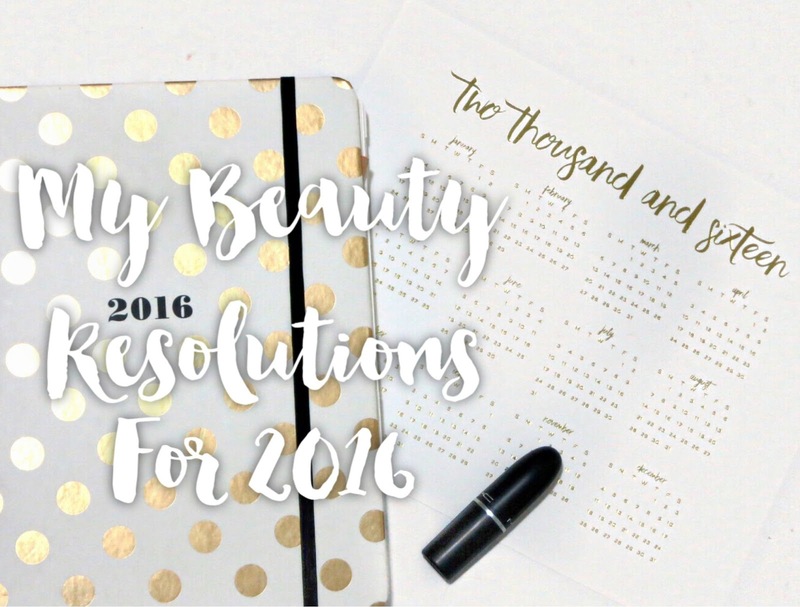 Well, those are my Beauty Resolutions for 2016. They may not seem like a lot but I think they are all achievable and will certainly make my life a lot easier. You may not be one for setting resolutions, which is perfectly fine too! Maybe you already do a lot of these things but I wanted to write this post as a reminder to myself of what I'd like to accomplish throughout this year. Happy 2016 Everyone!